Looking for jobs is sometimes the most difficult part of the job process. Where do you start? What sites are the best? Are there different websites I should use depending on my major? These are all questions that come to mind when starting my search for a job. There are hundreds of different websites out there that post jobs. How do you know which one is going to give you the best results and help you find the job in the quickest, simplest way? 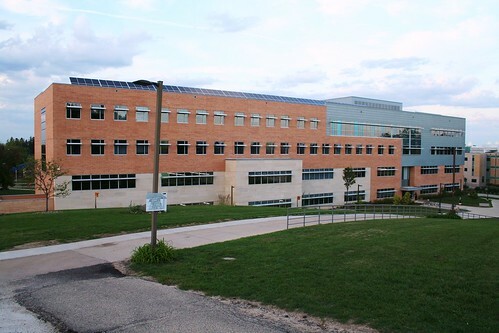 Here at UW-Whitewater, we have a great resource to help us find jobs. 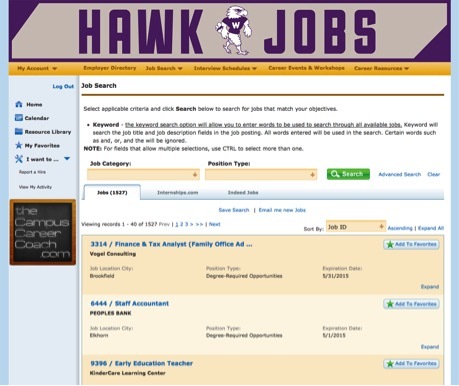 HawkJobs is a great website for current students and alumni to find jobs and internships. You can filter through positions by inputting your major, desired job location, and what type of job you’re looking for. From there it tells you exactly how you apply for that job. Hawkjobs is a great resource to help you start your search for a job. However, HawkJobs only has postings from the employers who know about HawkJobs. This sometimes leaves out a few popular areas of study. If you are a person who is interested in a career in advertising, communications, graphic design, marketing, public relations, social media, or web design, BigShoesNetwork.com is a great place to search for jobs. 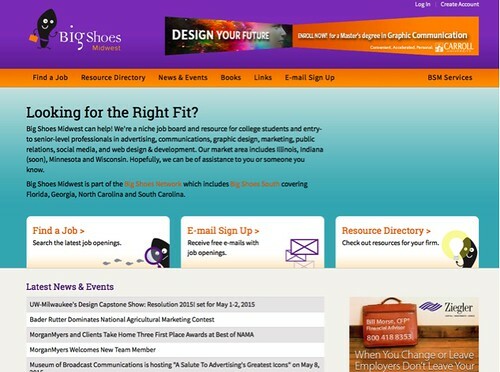 There are two different regions that Big Shoes Network offers postings in, the Midwest and the South. Once you choose which region you would like to work in, you go to the find a job tab. This page allows you to choose what region you would like to work in and the type of position that you are interested in. Once you see a position that catches your eye, you can simply click on it and it tells you exactly how to apply. 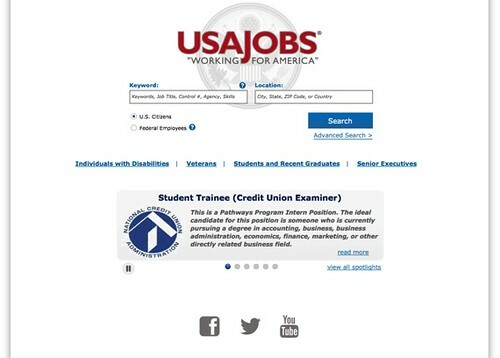 On the other hand, if you are looking for a job with the government, USAjobs.gov is the place that you want to go. Here you can search for all different types of positions with the government. You can narrow your search down by the location you want to be in, the type of position you would like to have, and even the government agency that you would like to work for. 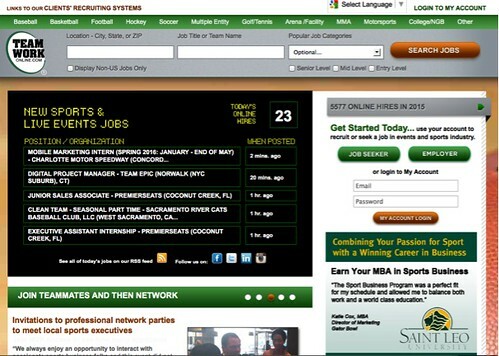 If your dream job is working for your favorite sports team, then you should go to teamworkonline.com. On this website you can search for jobs by the team that you would like to work for. They have all different types of positions, from ticket sales to marketing. You can even narrow your search down to entry-level positions. Finally, if you are someone who is in the social services field, socialservice.com is a great website for you. This website offers a variety of positions in the social services field from child care workers to case managers. You can narrow your search by what type of degree is required and by location. When choosing which site is going to be best for you, make sure that you consider what field you want to go in. While you may still be unsure, it always helps to narrow down your options even a little bit. Keep in mind that this job search process is one that is going to take a lot of time. There are a lot of open positions out there and you want to make sure that you are applying for the ones that you want. Remember that employers don’t always post all of their jobs online. It is still very important to build up a network of contacts that you can talk to about possible job openings. Networking in person is just as important as networking online. HawkJobs, Big Shoes Network, USAjobs, teamworkonline, and socialservices.com are all great sites for you to start your job search. They are easy to use and each one provides something unique in your search for a job. 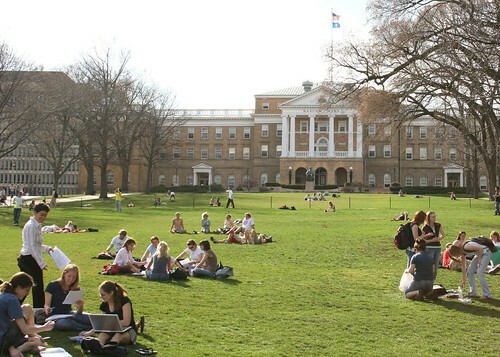 Welcome back to campus, UW-W students and staff! I hope you all had a nice, relaxing break, but are ready to hit the books again, embark on a brand new semester of internship or job duties, and to get back into the swing of things. I know, I know – we’ve heard this all before. Updating your resume is the first step in jump-starting your job hunt. I hope you all have a resume somewhere, whether it be in a folder on your computer or on your online website. Before you start anything else, make sure your resume is up to date. Check out this article from our archives, which includes five links about sharpening your resume. No matter if you’re a freshman, senior, or graduate student, Career & Leadership Development can help you in many career-related areas. The staff can help you fix and spice up your resume, they can conduct practice interviews with you, they can help you figure out the best way to search for a job, and I know for a fact that they’re more than happy to talk to you about internship/searching and deciding what path you should take during and after college. Check out the staff list to find out which staff member would be best fit to help you. If you’re not looking for a job yet, start looking for internships instead! Visit the UW-W Internship Blog for information and advice on scoring a great internship. Employers will definitely notice if you have had one or two internships, so don’t pass up any opportunity to apply for one! For those of you who are graduating within the year, try looking at job boards on the web, such as Hawk Jobs. If you’re new to job searching, look out for a post coming up in the next few weeks, titled ‘How To Navigate Hawk Jobs’. If looking at job boards isn’t your thing, you can also check potential employers’ websites to see if there are any job openings, and definitely mention your pursuit to your friends, parents, and colleagues. Networking is a great skill to have, especially if you’re looking for a job! We post current job openings on this blog, as well as on our Twitter page and Facebook page, so be sure to follow us on these social media sites! I hope you’ve taken some of the advice into consideration and will stop by the offices of Career & Leadership Development sometime. We’re happy to help with all of your college and career concerns!